Haiku Deck Zuru is a powerful new tool that uses artificial intelligence to help you create stunning presentations faster than ever. 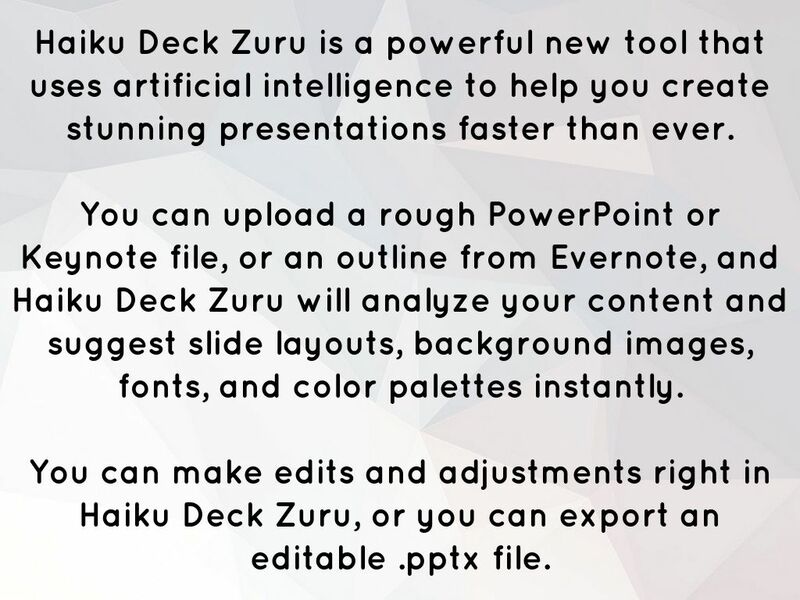 You can upload a rough PowerPoint or Keynote file, or an outline from Evernote, and Haiku Deck Zuru will analyze your content and suggest slide layouts, background images, fonts, and color palettes instantly. 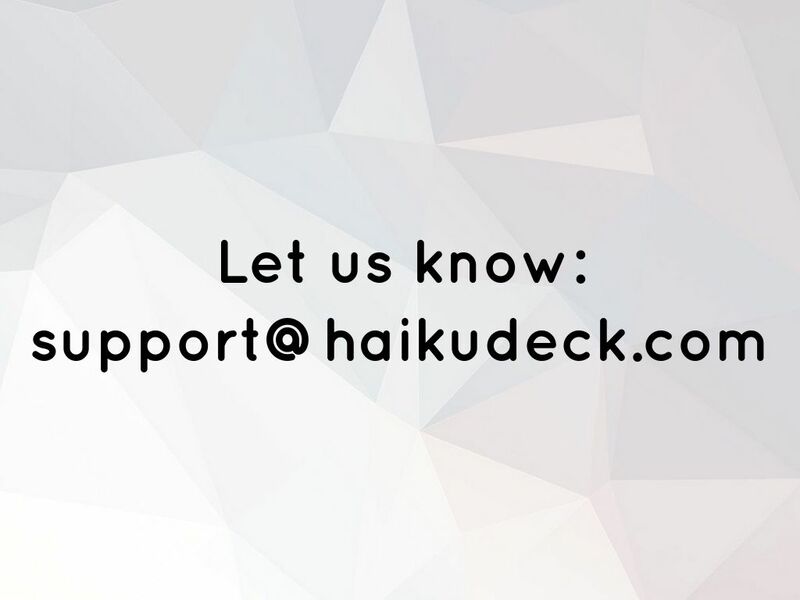 You can make edits and adjustments right in Haiku Deck Zuru, or you can export an editable .pptx file. 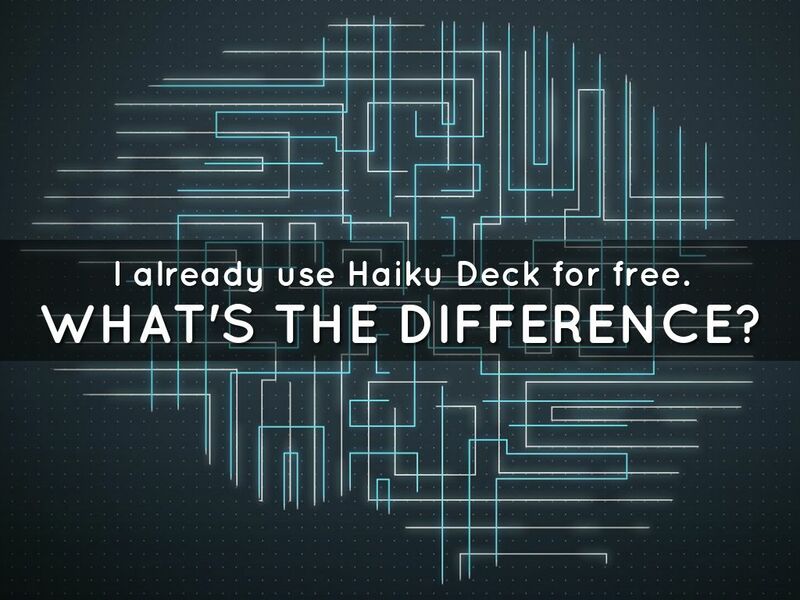 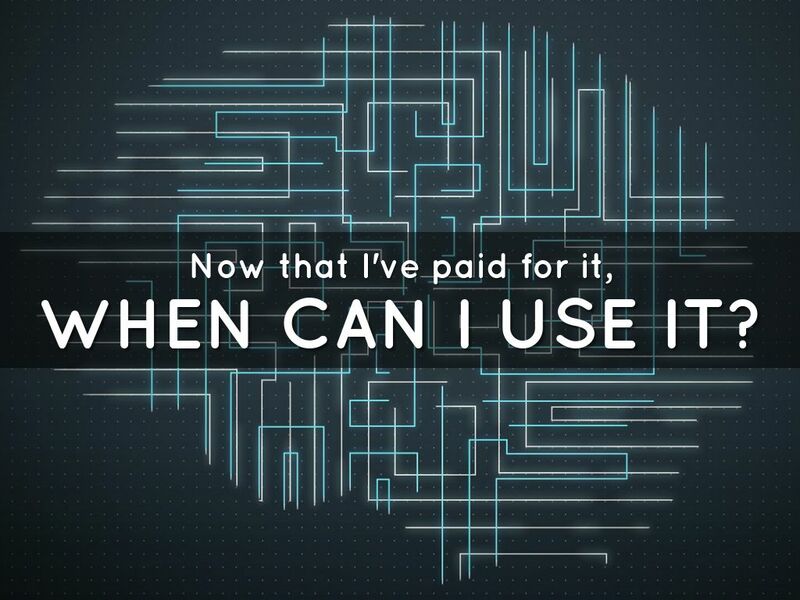 I already use Haiku Deck for free. 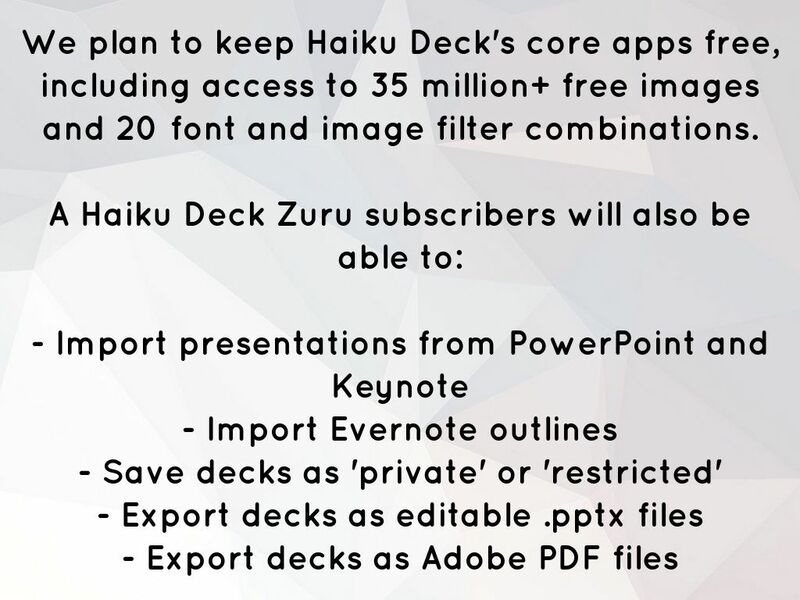 We plan to keep Haiku Deck's core apps free, including access to 35 million+ free images and 20 font and image filter combinations. 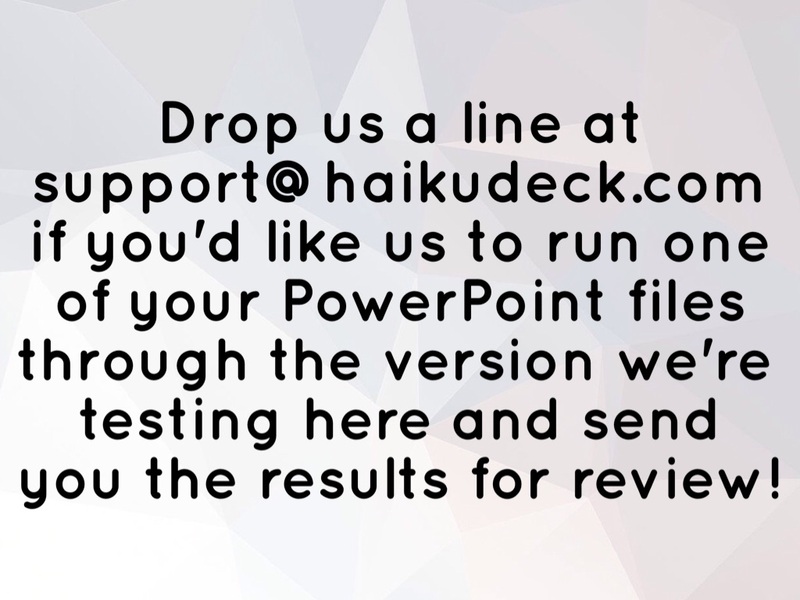 Drop us a line at support@haikudeck.com if you'd like us to run one of your PowerPoint files through the version we're testing here and send you the results for review! 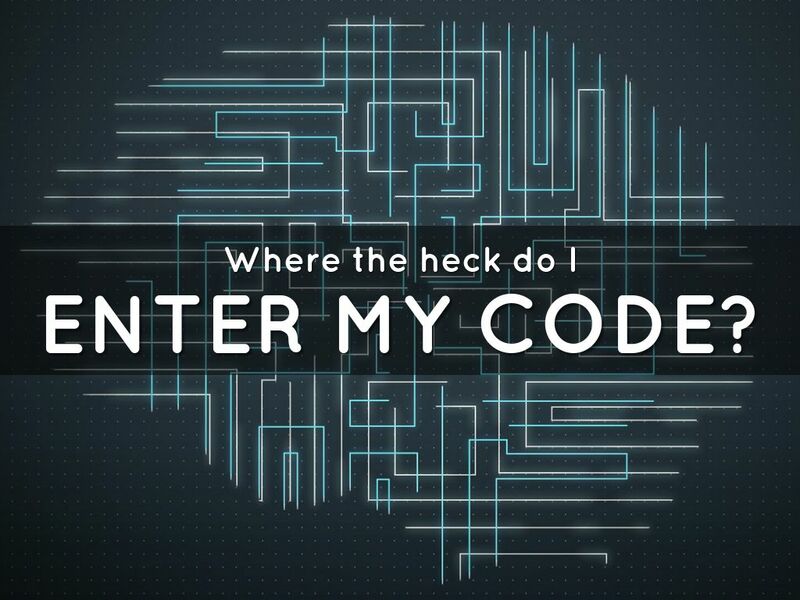 There's no place to enter the code yet. 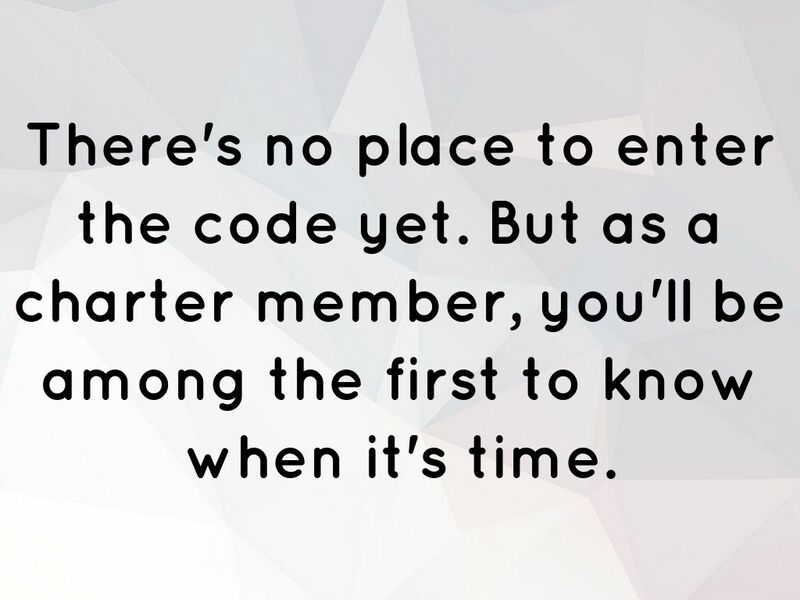 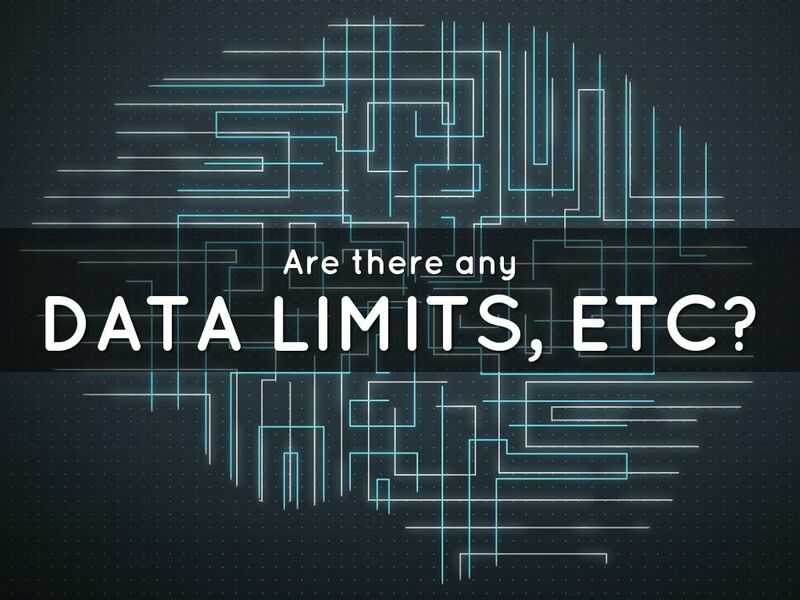 But as a charter member, you'll be among the first to know when it's time. 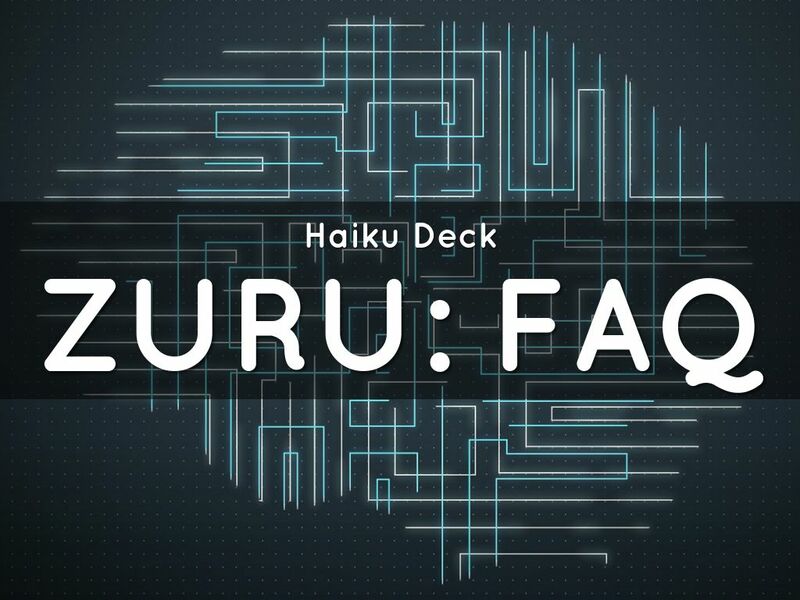 We're aiming to give charter members exclusive access to Haiku Deck Zuru beta this spring. 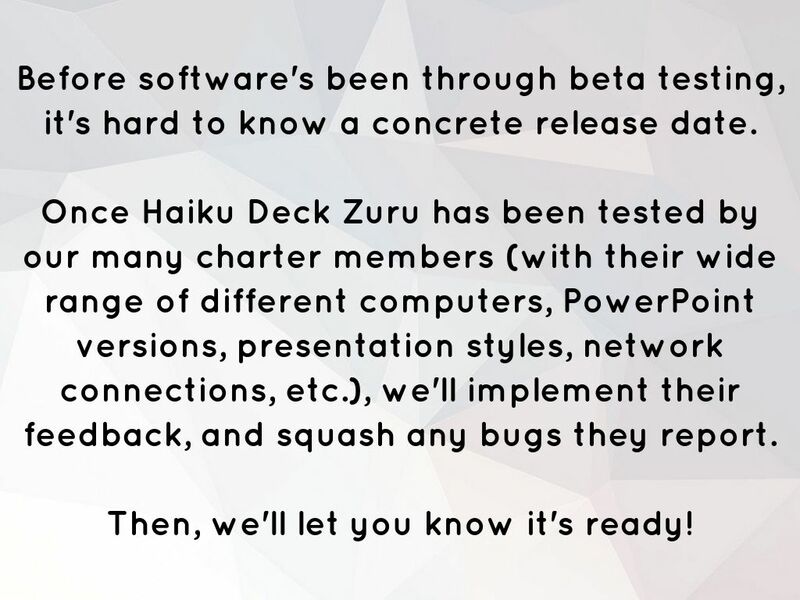 Haiku Deck Zuru will be released from beta after we've collected and implemented our charter members' feedback. 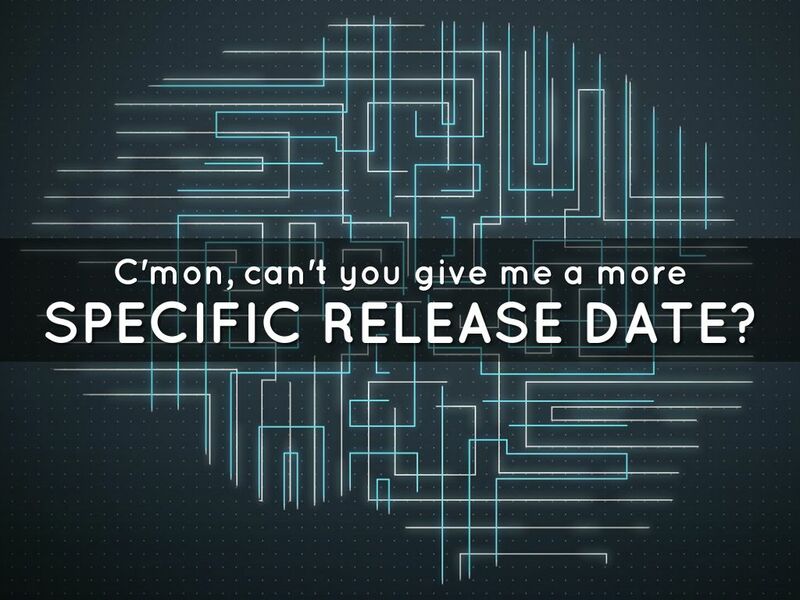 Before software's been through beta testing, it's hard to know a concrete release date. 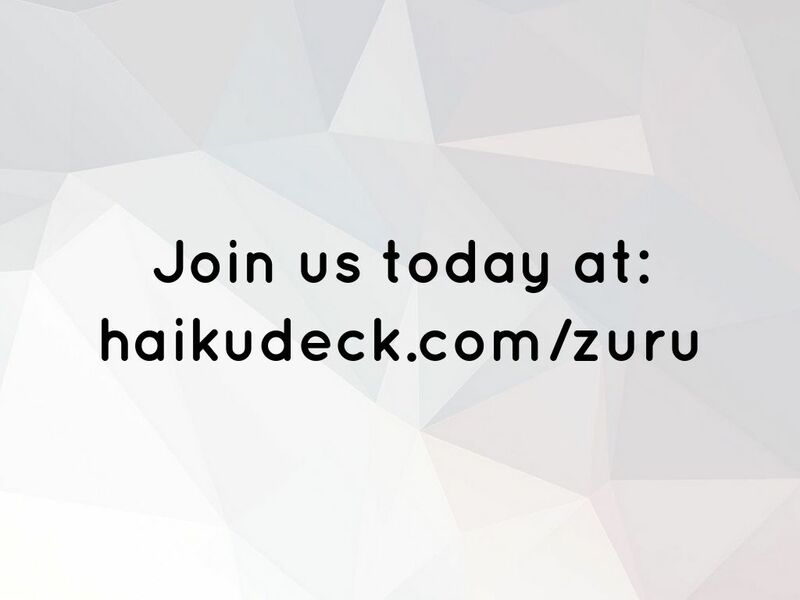 Once Haiku Deck Zuru has been tested by our many charter members (with their wide range of different computers, PowerPoint versions, presentation styles, network connections, etc. 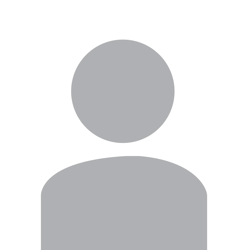 ), we'll implement their feedback, and squash any bugs they report. 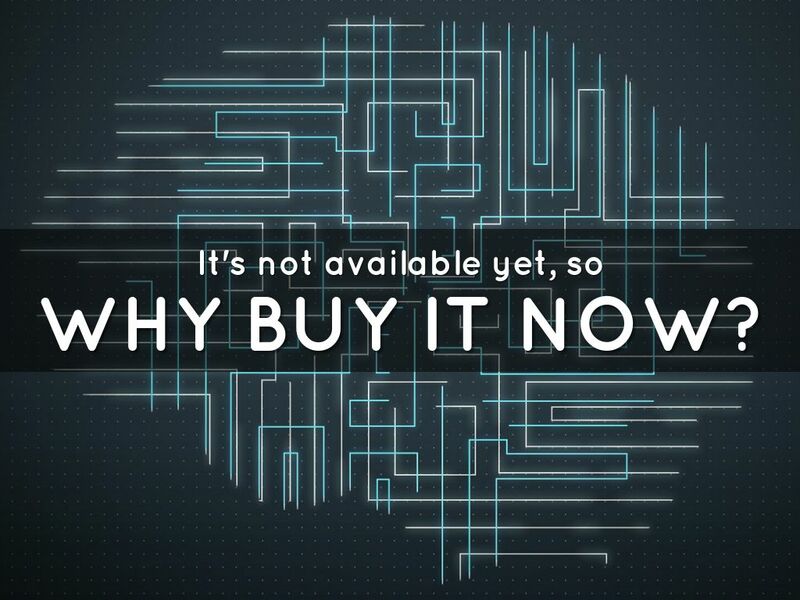 Then, we'll let you know it's ready! 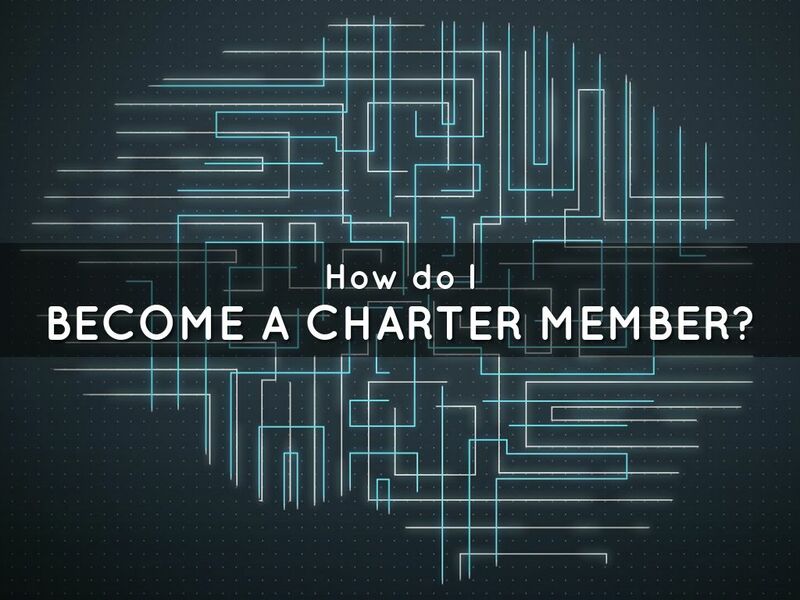 Only charter members who sign up during the pre-sale period receive 50% off the subscription price, and early access to the beta. 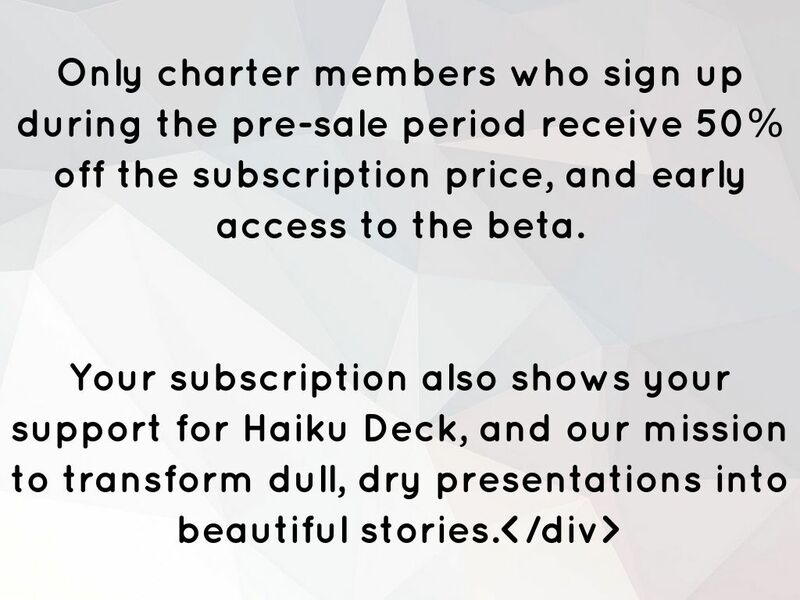 Your subscription also shows your support for Haiku Deck, and our mission to transform dull, dry presentations into beautiful stories. 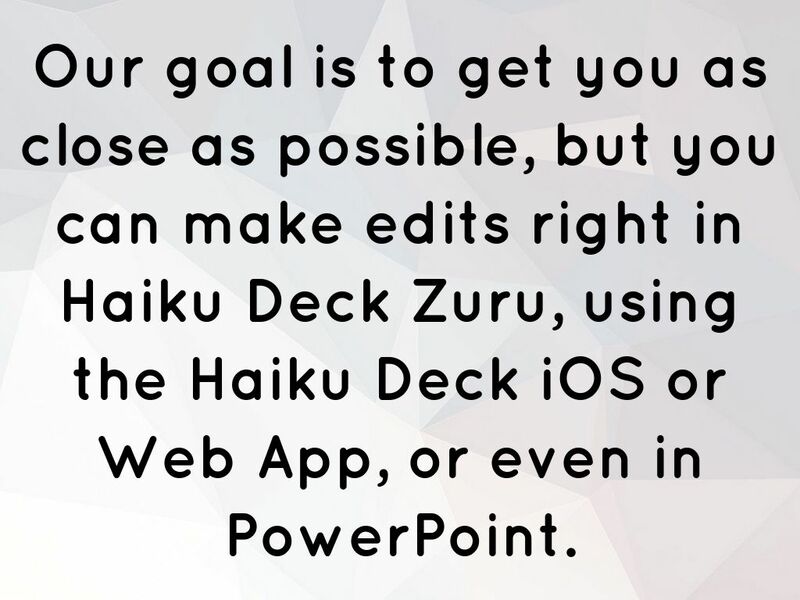 Our goal is to get you as close as possible, but you can make edits right in Haiku Deck Zuru, using the Haiku Deck iOS or Web App, or even in PowerPoint. 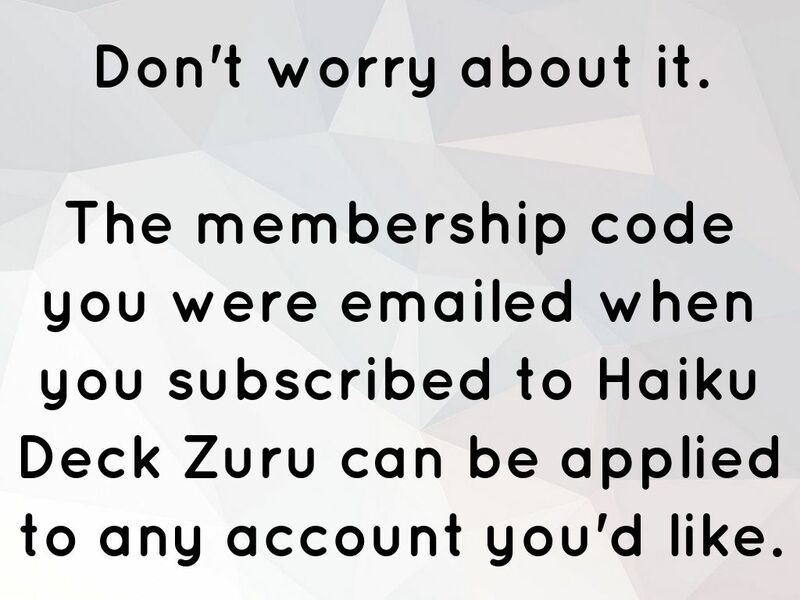 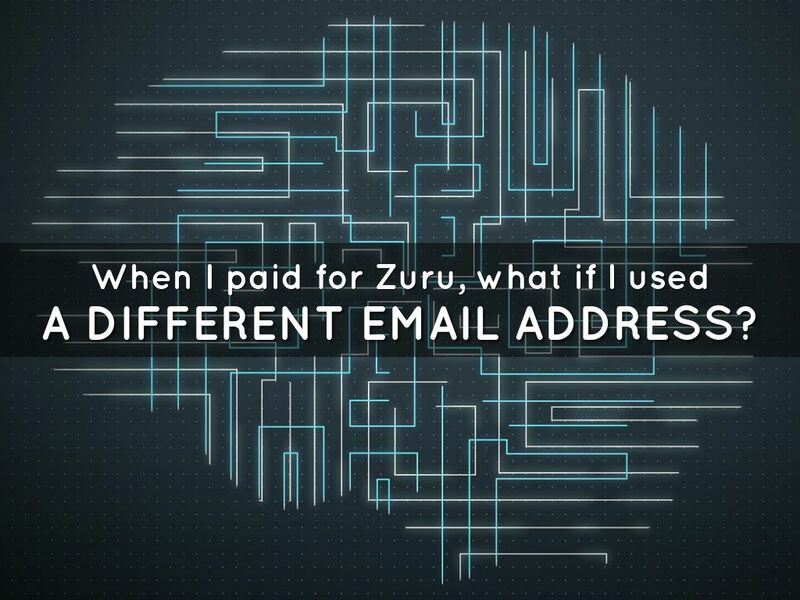 The membership code you were emailed when you subscribed to Haiku Deck Zuru can be applied to any account you'd like. 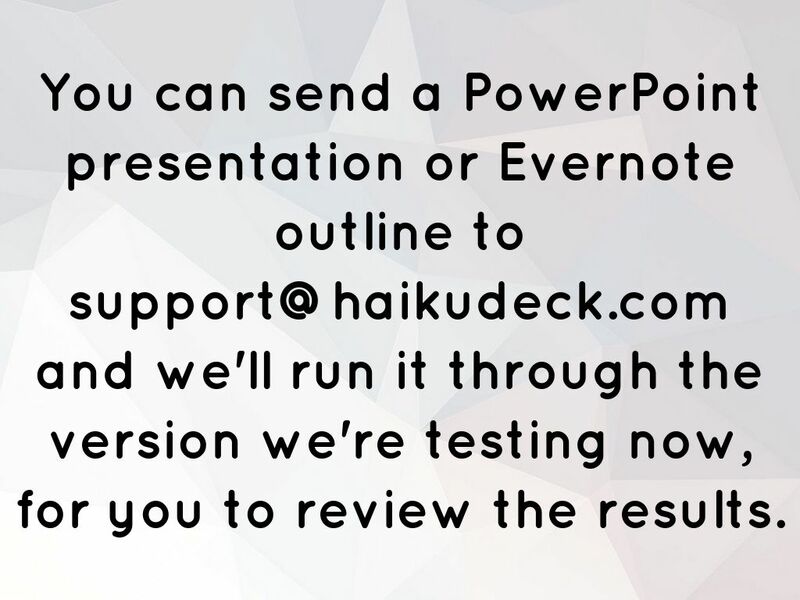 You can send a PowerPoint presentation or Evernote outline to support@haikudeck.com and we'll run it through the version we're testing now, for you to review the results. 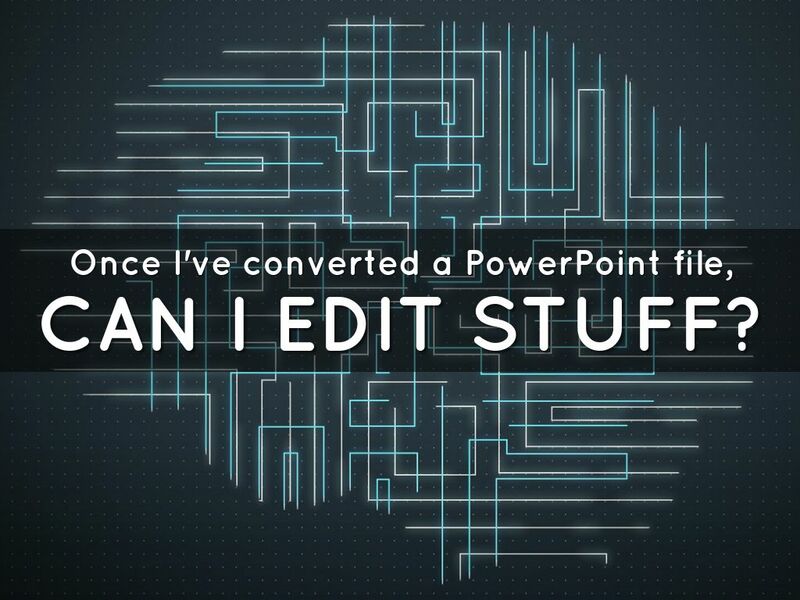 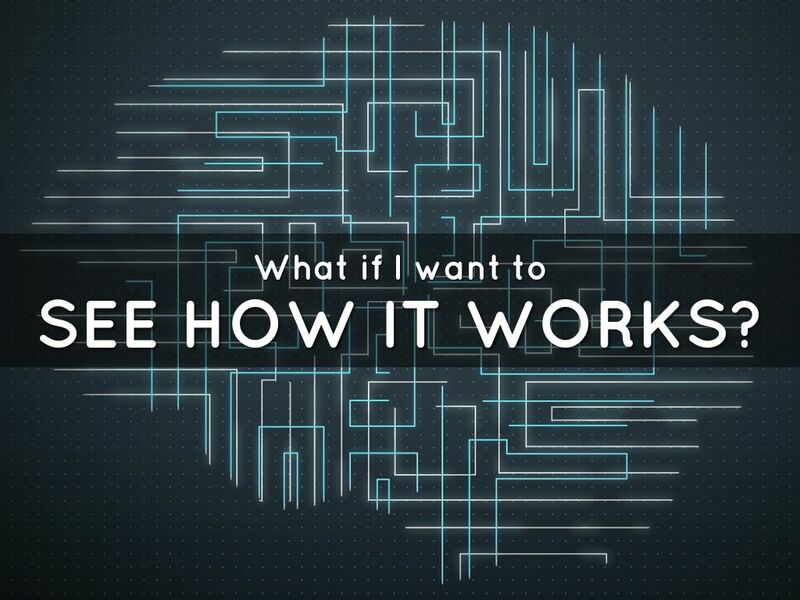 The only thing hidden is the behind-the-scenes technology that transforms your presentations in seconds. 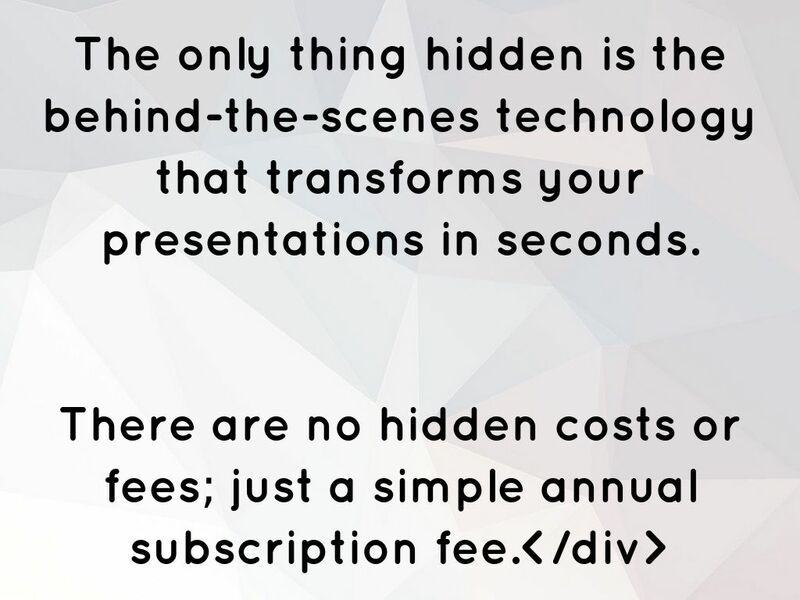 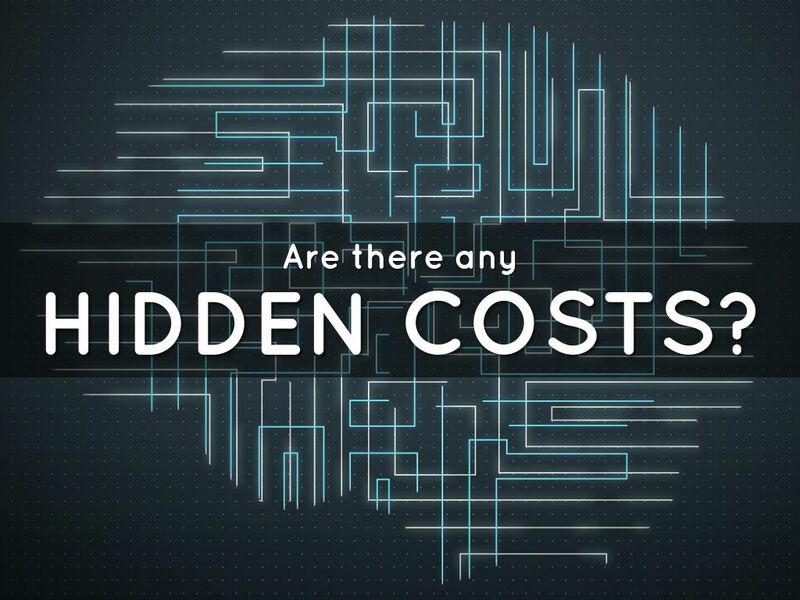 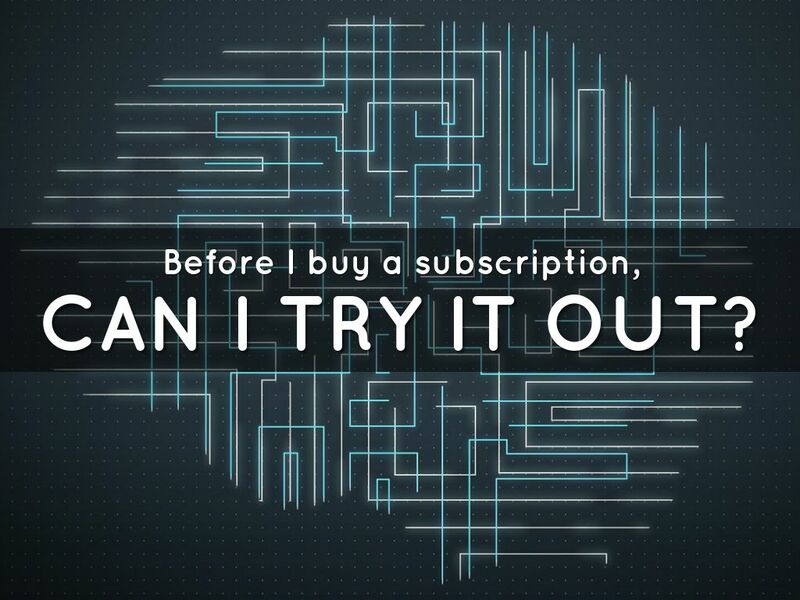 There are no hidden costs or fees; just a simple annual subscription fee. 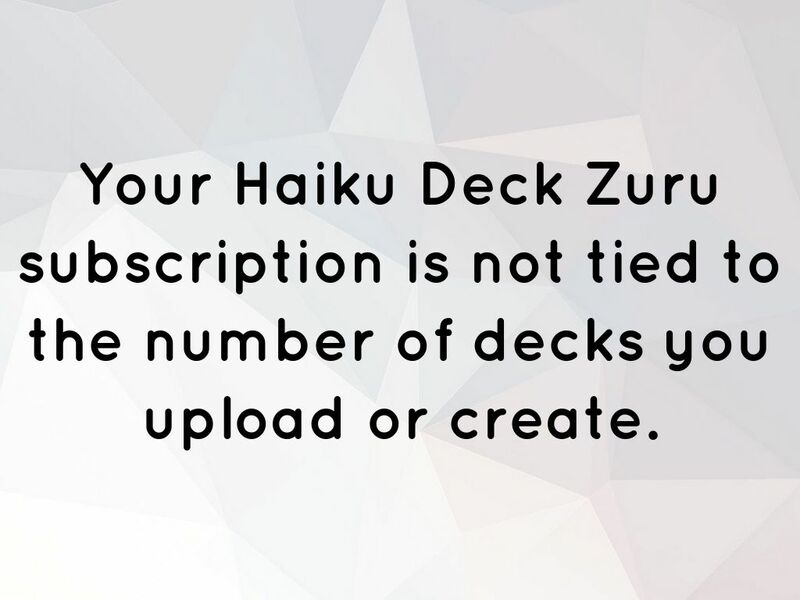 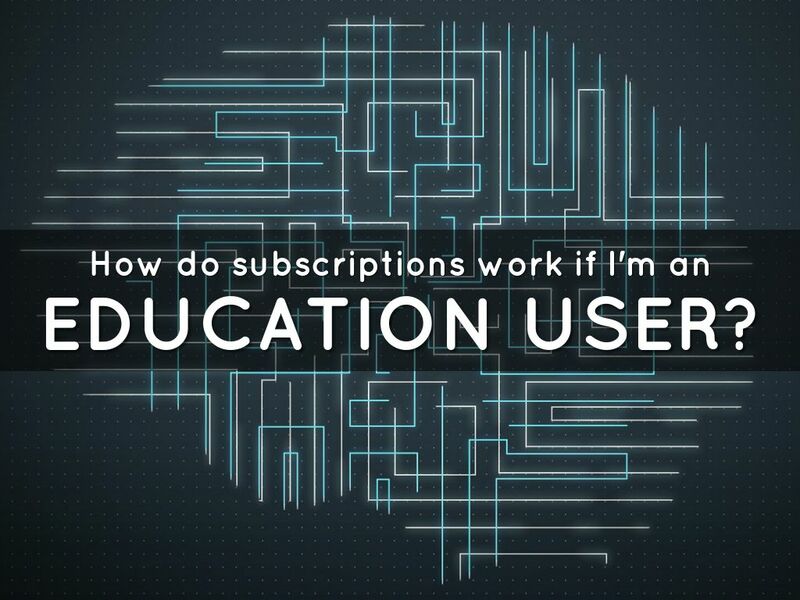 Your Haiku Deck Zuru subscription is not tied to the number of decks you upload or create. 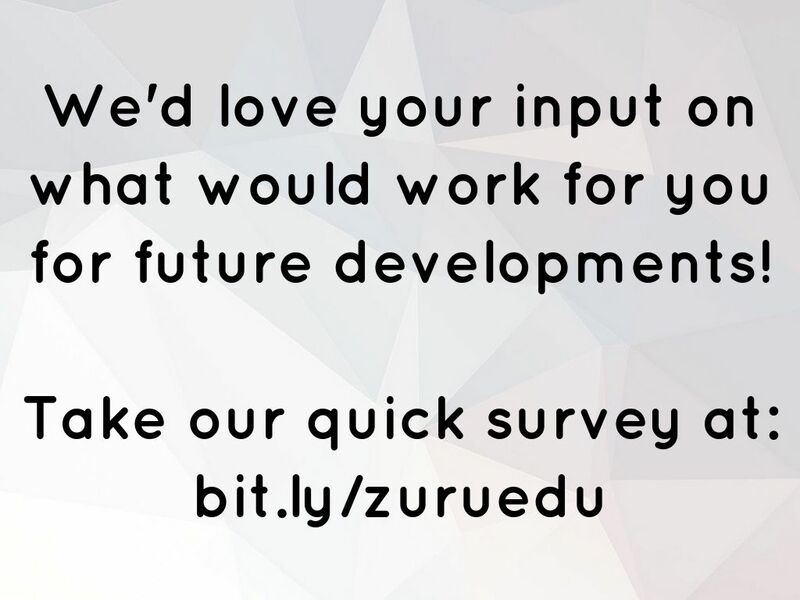 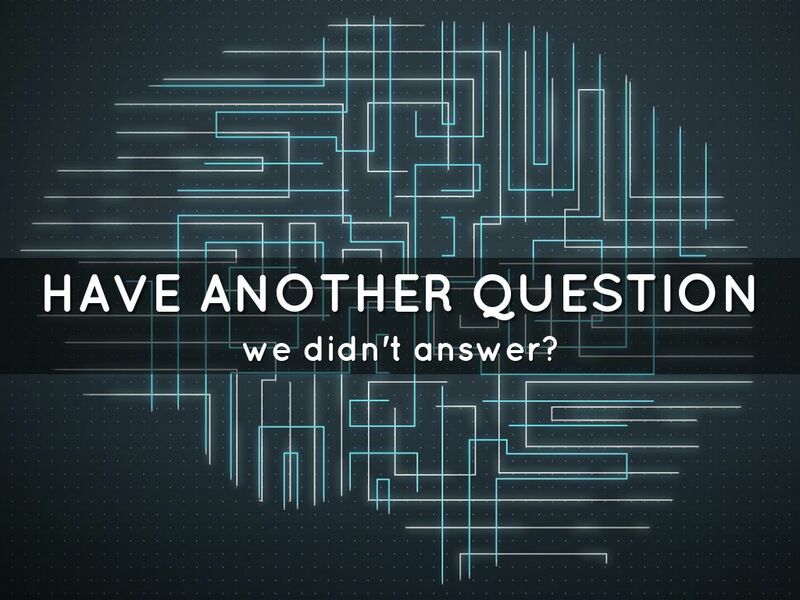 We'd love your input on what would work for you for future developments!